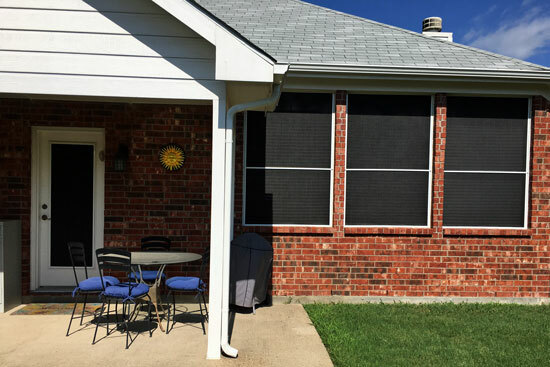 In my Five on Friday post a couple of weeks ago, I mentioned that we had solar screens installed and were now able to keep our blinds open on hot summer days. Sian, Alexa and Susanne all mentioned not having or knowing about solar blinds in their comments, so I thought I'd clarify. The solar screens were installed on the outside of the house, replacing the regular half-window screens that were original to this home. 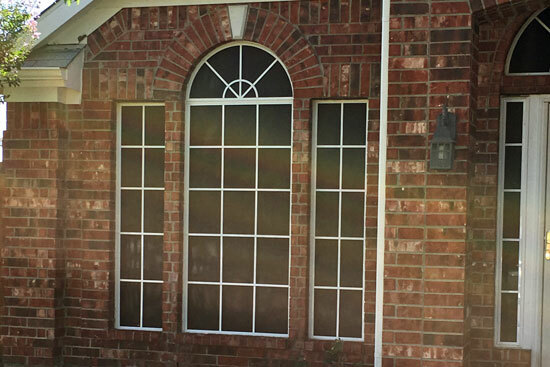 Solar Screens are exterior full-length screens that cover the entire window and help diffuse the direct sunlight. This stops the heat transfer through the windows to the inside of the house. 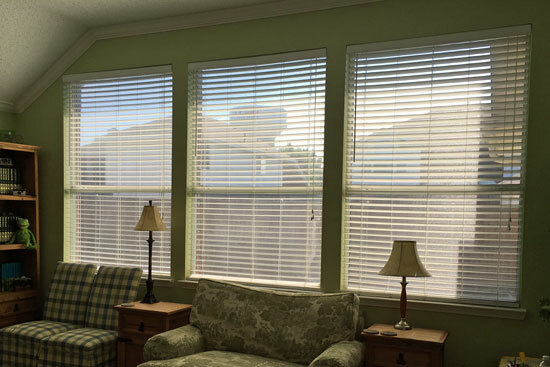 The "blinds" I mentioned are our indoor window treatments (mini-blinds and plantation shutters) that I rarely opened to look out in the summer because so much heat was trapped between the windows and the blinds. The solar screens have made a huge difference in the temperature inside the house (and the air conditioning is on much less during the day). In my All Lives Matter post, I shared some of my thoughts and feelings of heartbreak about all the tragic events happening our world. Mary-Lou said...Yes these are very difficult days to know what to do. So many angry people. I think one of the ways to help is to talk about this, not let it become just another news story. Not sure of the actual Bible verse & I am paraphrasing, but it does say prayer without action is wasted effort. My ladies group is having an open discussion about what is happening in the division of race, creed & colour - I think it will be a difficult meeting. I agree that we need to talk about this so that it doesn't just become another news story . . . and that these discussions could be difficult at times. With the idea of continuing the conversation on these issues, here are some additional comments I received. Sandra said...Our world is so angry, it's a scary place. Ellyn said...I'm praying especially for those who are angry and bitter, that they would come to know Christ. Being with other Christians is a good thing, but reaching out to those who are hurting is even more important I think. Alexa said...Thinking of you all - we need empathy, compassion and the ability to listen to each other more than ever, I think. Jane said...I have been following the events in the news, the world is a scary place at the moment. 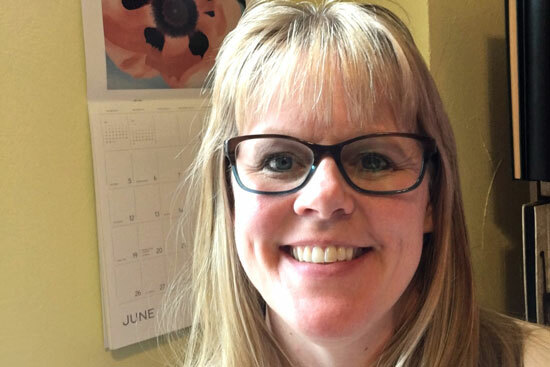 Karen said...It's so hard to know how to respond to this awful violence, not only here in the United States but around the world. 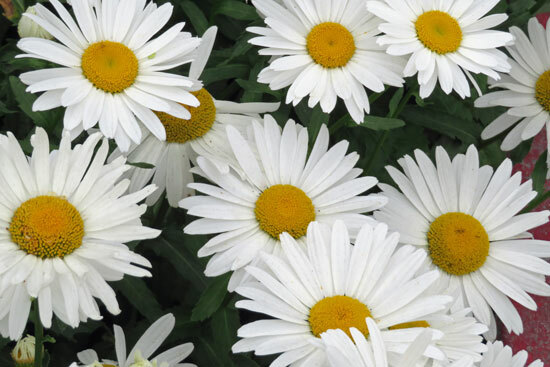 Every day seems to bring another tragic story of revenge and anger. It's a frightening world right now. We were away from watching the news for several days as neither of my children allow the news to be on when their young children are around. I totally agree with that, but what a sad commentary it is on the world. Cheri said...The whole Dallas thing made me so angry and sad. Hate only begets more hate. I want to live in a world where LOVE gets top billing. Susanne said...It is a scary time. We need less protesting and more praying. Chief Brown is right - getting involved in a personal way would be our default response. Barbara said...I certainly do not know the answer either. But one thing I know for sure---you cannot pick and choose which life you will respect. ALL life needs to be respected---including the unborn! As you and so many others are saying, ALL lives matter. *Ellyn and others in a local quilt guild made quilt blocks that will be assembled together into quilts for the victim's families. 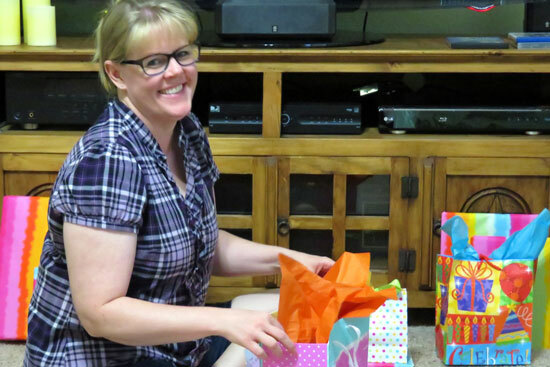 *Susie, the owner of Scrappin' Goodtime, sold raffle tickets for a chance to win three scrapbooking totes and donated all the funds to the local family of one of the fallen Dallas police officers. 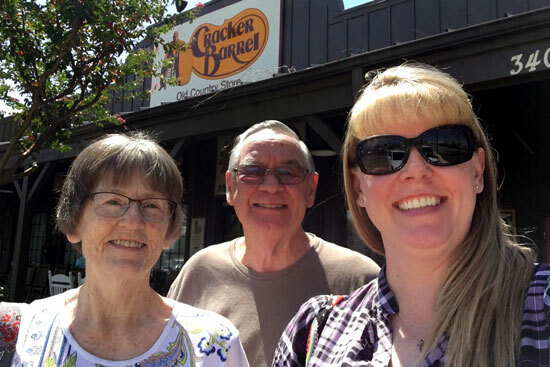 *Many individuals have baked and delivered cookies and other items to local police departments around the country to show support for law enforcement officials. *"The Free Hugs Project is an initiative that spreads love, inspires change and raises awareness of social issues through motivational videos." 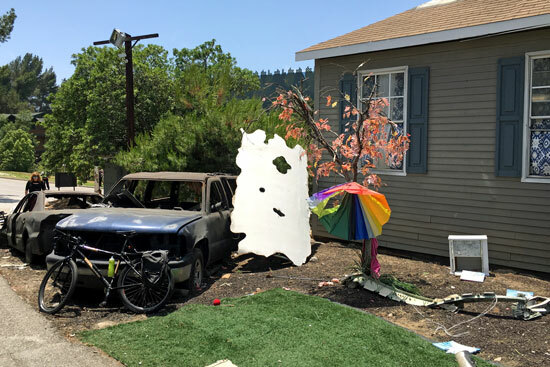 If you're not familiar with this project, check out the video and below - it will definitely make you smile! Cheri also said...I also don't watch the news as I find I internalize too much and it depresses me - there is so little GOOD that is reported. I get my "news" delivered to my email daily (weekdays only) via The Skimm which is just enough to keep me informed. I also receive and read The Skimm each weekday and find that it is just enough to keep me up-to-date. After seeing my patriotic illustrated Bible page, Mary-Lou said...We had a discussion at work today about writing/marking a bible. I still say you are so brave to mark your bible. Seems I am still the only reluctant marker in the group. I personally enjoy this hobby that allows me to use my creativity to dive into the Word, however I understand that it's not for everyone. My goal is to encourage everyone to seek God through His Word, whether that is simply reading and studying the Word or painting the page to illustrate what the Word is saying. There is no one "right" way, and I believe the heart's desire is what matters most, not the method of studying the Word. Missus Wookie said...Like Karen I do daily reading but I rarely add art work or sketches in. However, when I do (and it is more often now I've added coloured pens etc. to my pencil case upstairs) I always think of your pages. I must admit that it makes me happy to know that my pages occasionally provide INSPIRATION to others in their time in the Word. 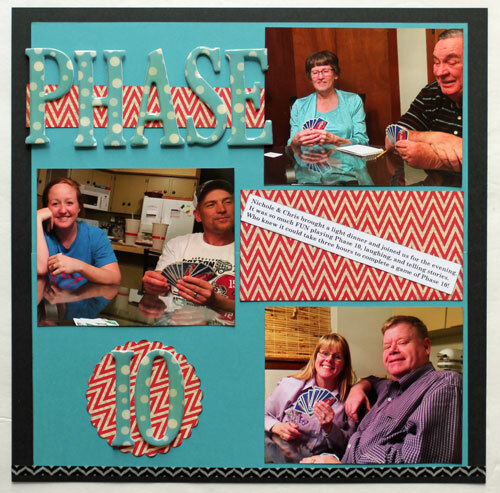 I'm so blessed to get to share this FUN hobby through classes and blog posts! Missus Wookie also said...No, I didn't know there were any free classes at scrapbook.com. 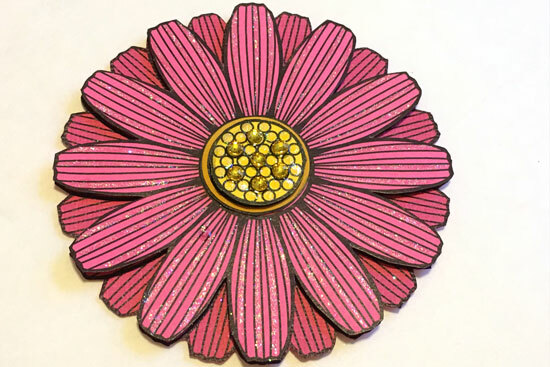 Oh yes, there are actually quite a few free classes at Scrapbook.com - everything from scrapbooking to card-making to Bible journaling and all kinds of crafty techniques! 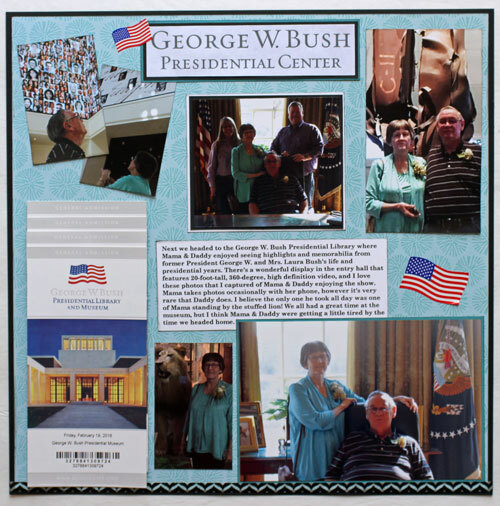 As I'm setting up my new craft room, I'm reading through the materials in the original Get Organized class and finding lots of ideas and INSPIRATION. Thanks everyone for continuing the conversation! 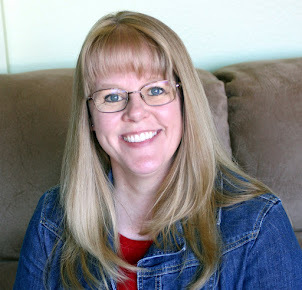 This year I decided to search for the items on Rinda's Summertime Photography Scavenger Hunt List throughout my week-long birthday celebration. Robbie and I always give each other pre-birthday gifts; small gifts for several days leading up to our actual birthdays. This year was no different, and I had to laugh when I opened Robbie's first gift - a whole bag of chocolate treats for the weekend get-away he planned. 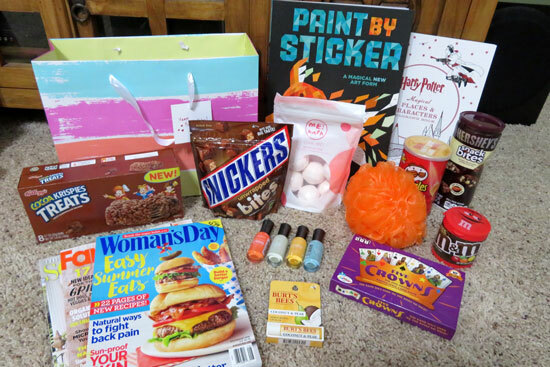 There were other useful items as well: Five Crowns (a new card game to play), Paint by Sticker (a new creative activity), nail polish (in FUN colors), chapstick (in a new flavor), bath balls & a loofah, and magazines (which I read on our trip). Knowing that Robbie had planned a trip for us, Mama & Daddy took me out to lunch several days before my birthday and let me unwrap my gift - a Harry Potter coloring book! 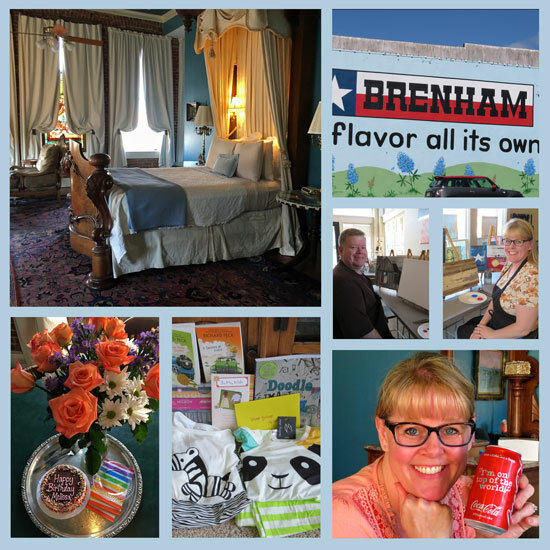 Robbie took off work early on Friday, and we enjoyed a road trip to Brenham, Texas. We spent a couple of nights at the Ant Street Inn, which has a great porch out back. 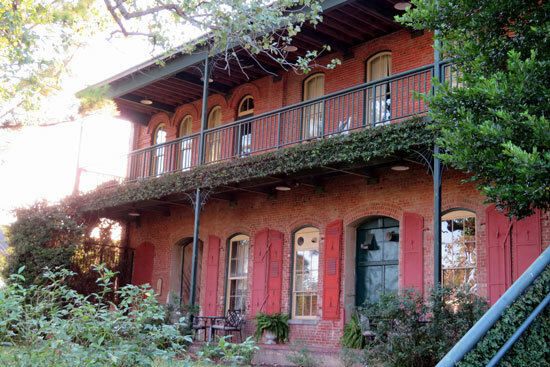 The porch overlooks the gardens where we found a couple of wild hearts. After checking in, we spent some time exploring the inn and looking for items on the scavenger hunt list. 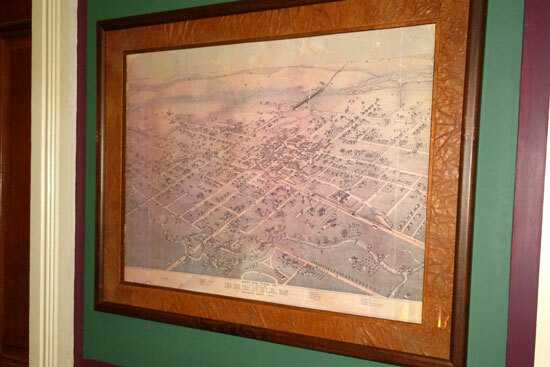 In the long hallway upstairs, we found an old map of the town of Brenham. 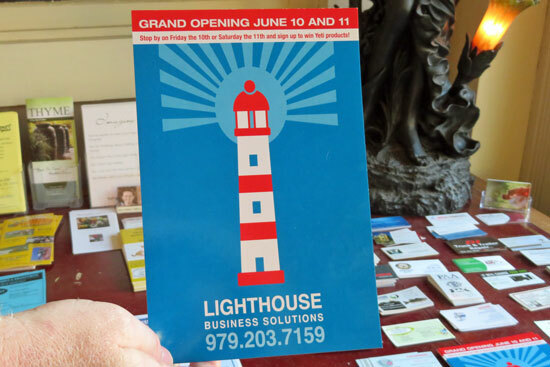 Downstairs near the front entrance, among the flyers and advertisements, Robbie found a lighthouse. 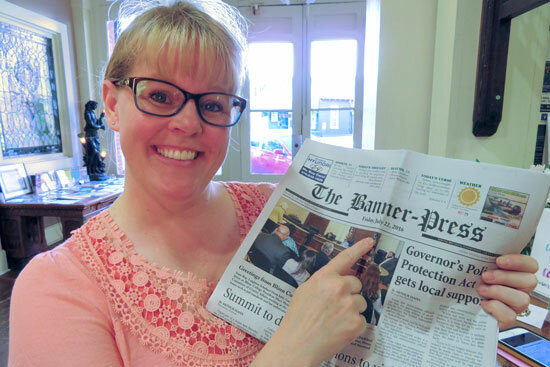 We also found a newspaper at the registration desk. 21. A photograph of you with a newspaper or calendar page from the time period covered in the Hunt. Note: you may not use a substitute for this item. 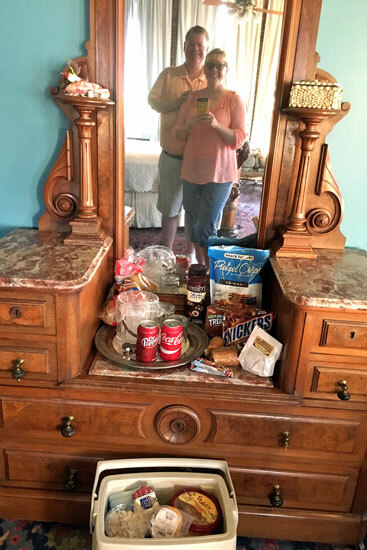 Our room was furnished with antiques, like the one I used to set out food and snacks for us to enjoy during our stay. Of course, Robbie had requested that a bouquet of roses and a birthday cake be waiting for us in the room! 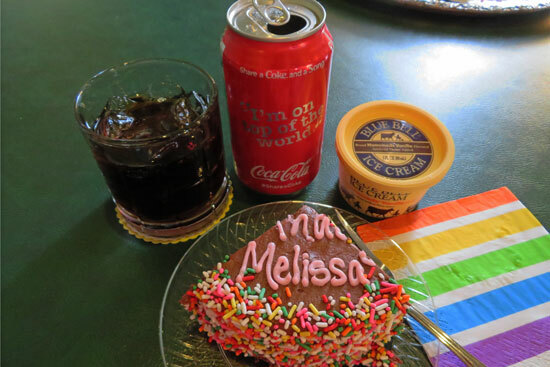 Chocolate cake is always good with my favorite beverage . . . and Blue Bell Ice Cream (we were in Brenham after all!). 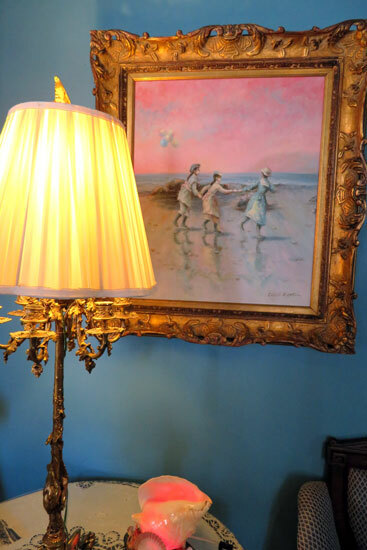 The room was decorated with quite a few pieces of artwork, including this one depicting three girls playing near the shore. 9. Someone playing with, in, or around water. 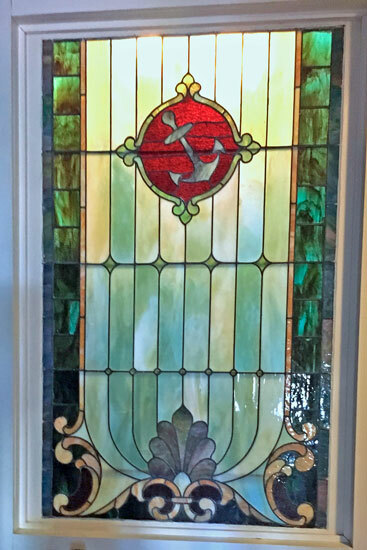 There were stained glass windows throughout the inn. My favorite was the one next to the bathtub. 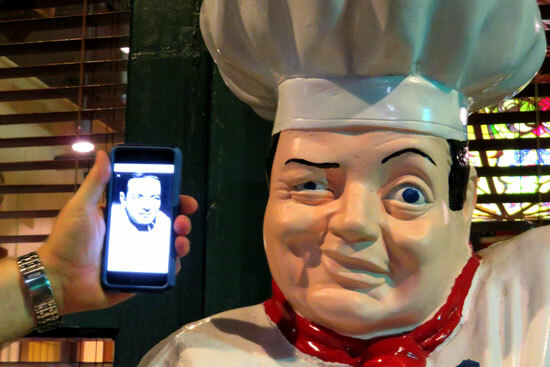 We didn't actually see any twins, however Robbie thought this statue outside the Brenham Grill looked a lot like Peter Lorre. What do you think? We only spent a little time wandering around the downtown area (temperatures are well into the 90s this time of year), where we noticed quite a few murals and advertisements on the side of buildings. 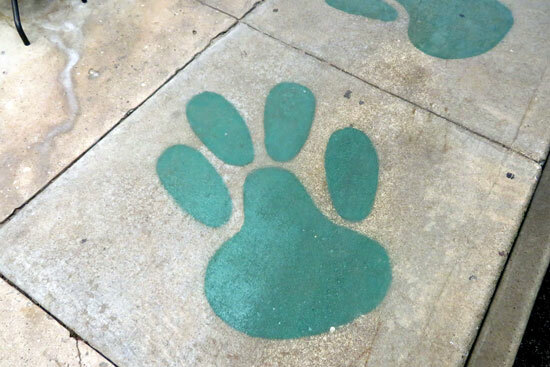 And we found large paw prints painted on the sidewalk across the street from the inn. Robbie had searched for a FUN activity and signed us up for a Craft Night at Palettes & Pairings. We were able to choose from several craft projects. 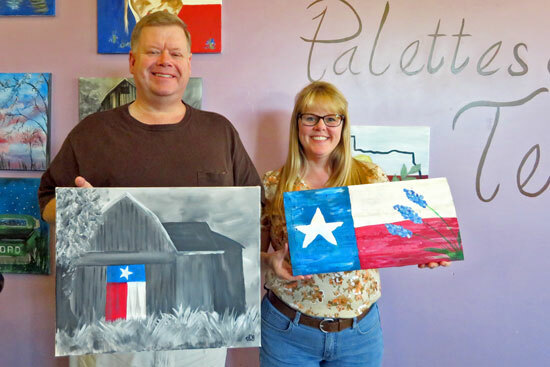 I chose to paint a Texas flag and bluebonnets on a piece of old barn wood while Robbie painted a canvas with a barn scene. 8. 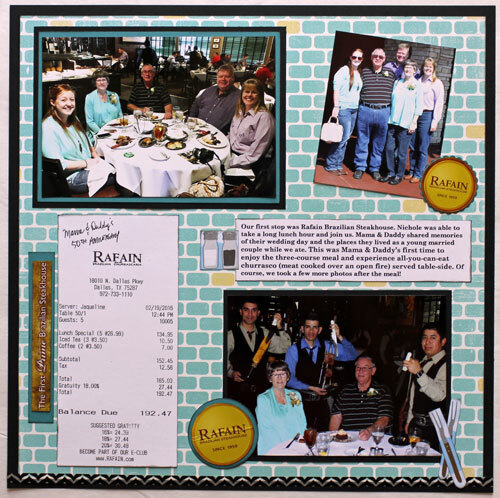 A drawing, art project, artistic photograph, scrapbook page, greeting card, or art journal page created by you. 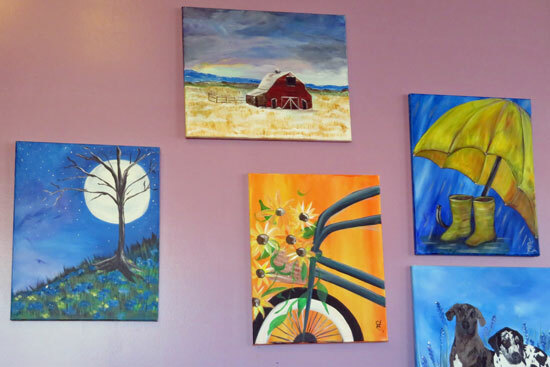 The walls were covered with canvases that the owner had created for previous (and future) classes. One of my favorites is of a bicycle with a basket full of flowers, but I was also glad to find the moon in one of the scenes since we couldn't spot the real one when we walked outside the night before. 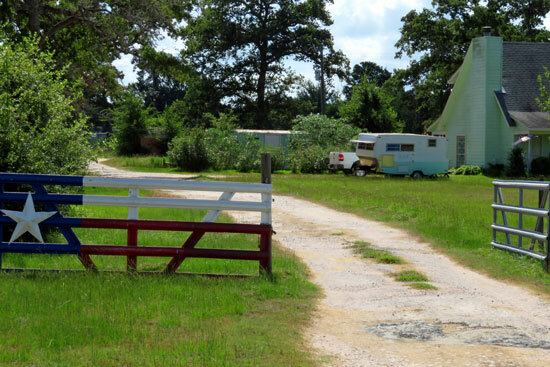 We took a different route on our way home from Brenham and spotted a camper along the way. Our route took us through College Station, home of Texas A&M University. 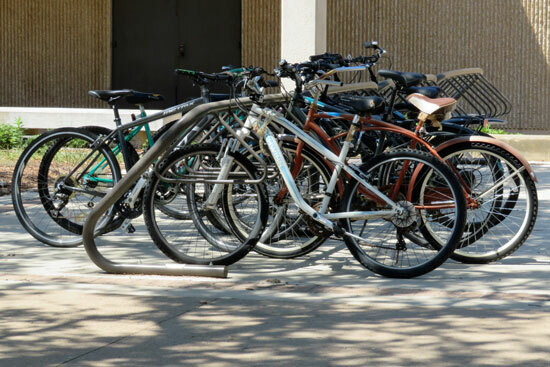 Judging by this bike rack, there are quite a few students on campus this summer. 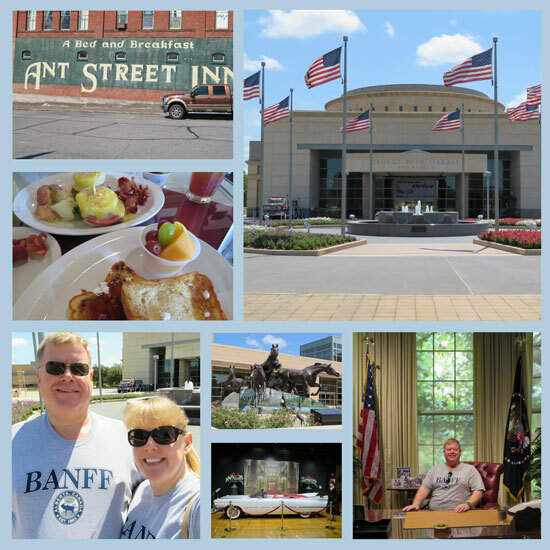 We spent a couple of hours touring the George H.W. Bush Presidential Museum, which had an interactive CIA exhibit. 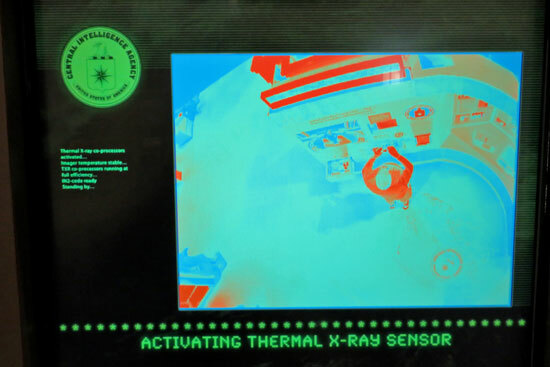 The X-ray sensor is showing an image of Robbie at the exhibit. 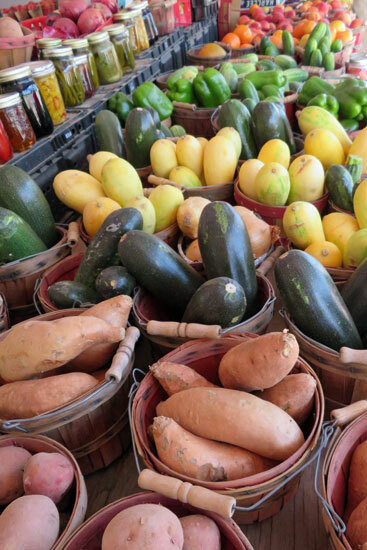 On the way home, we also stopped at a roadside stand to pick up some tomatoes. Of course, we took tons more photos as it was a great week all around. Here are a few more of my favorites. When I originally decided to challenge myself to read all the Pulitzer Prize winners in fiction, I honestly didn't realize how challenging it would be at times! 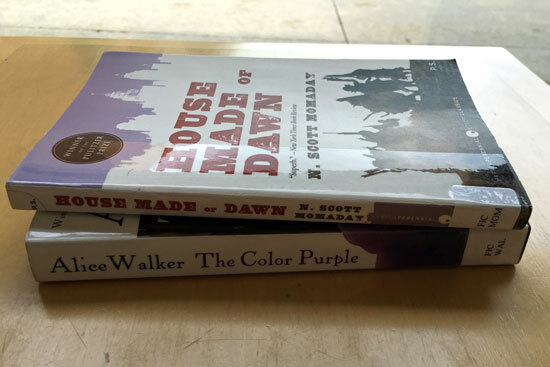 As I mentioned in my review of The Color Purple, many of the books are "downers." Often this is because the stories involve deep issues that are not easily resolved and tend to have unsatisfactory endings. Here's a synopsis from the book cover: Oscar is a sweet but disastrously overweight ghetto nerd, a New Jersey romantic who dreams of becoming the Dominican J.R.R. Tolkien and, most of all, of finding love. But Oscar may never get what he wants. Blame the fuku' - a curse that has haunted Oscar's family for generations, following them on their epic journey from the Dominican Republic to the United States and back again. Basically, Oscar is an overweight, unpopular, nerd/geek who is desperate to lose his virginity. The story is narrated by Yunior as he recounts Oscar's life as well as the history of Oscar's mother, sister, and grandparents. All these stories are interspersed throughout Oscar's story, so the timeline jumps around a good bit. There really isn't anything "wondrous" about Oscar's life, unless flirting with danger in a way that eventually results in getting yourself killed is considered "wondrous." The book also contains a good bit of history about the Dominican Republic and the 31-year regime of the dictator Trujillo. Much of this information is added in the form of footnotes, which is unusual in a fiction book and made it even more tedious to read. 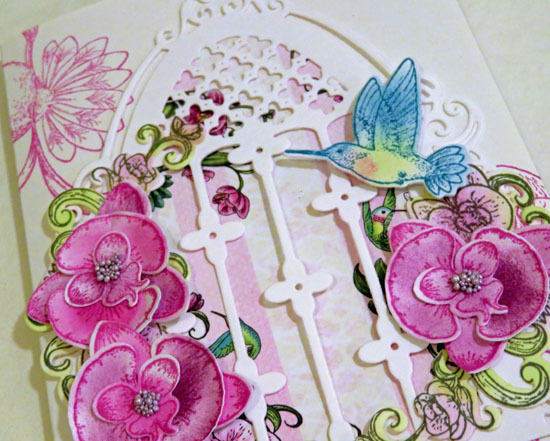 Over the past few months, I've seen and admired cards created with the Heartfelt Creations stamps and dies, so I finally signed up for a class at Personal Scrapbook and created three gorgeous cards. These cards use several stamps and dies. All the pieces for each card were in a kit. 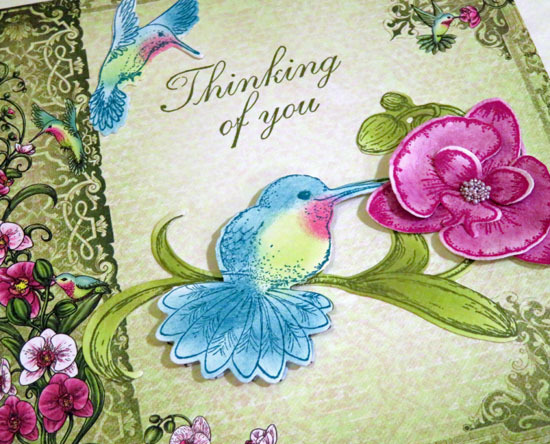 The instructor did not tell us which sets the pieces came from, but I know we definitely used the Hummingbird stamps and dies. We also used several inks and daubers to color in the stamped images. 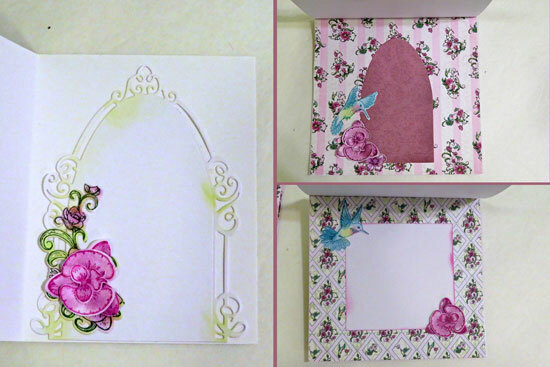 I learned how to use the Heartfelt Creations Flower Shaping Kit to shape the flowers, which adds beautiful dimension. It was FUN to assemble these cards! We even added bits & pieces inside the cards. Have you tried any of the Heartfelt Creations products? 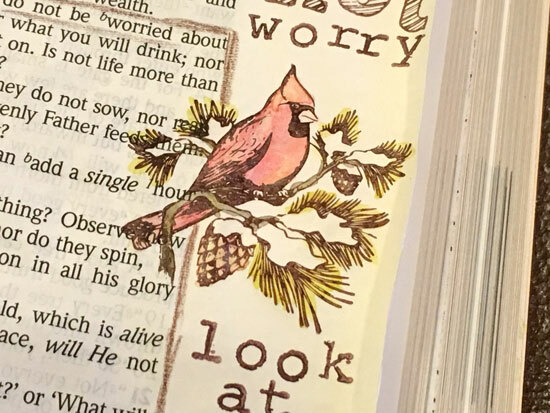 Sharing a few more illustrated Bible journaling pages inspired by the free Inspired Faith class at Scrapbook.com. (See my pages from Lessons 1-5 HERE.) Each lesson focuses on a particular product or technique and includes thoughts on the scripture being illustrated. 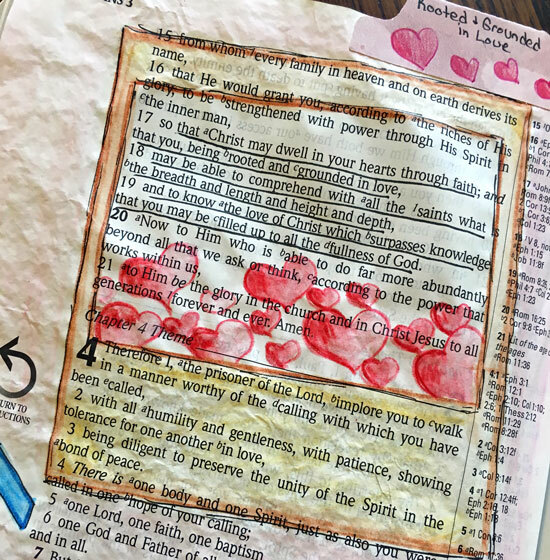 Lesson 6 focused on stencils and coloring along with the scriptures in Ephesians 3:17-19 that talk about being rooted and grounded in love. I created a stencil for the blue arrows using a Stampin' Up punch I had in my stash. I drew the Polaroid photo frame and hearts, then used watercolor pencils and a waterbrush to color and paint them in. 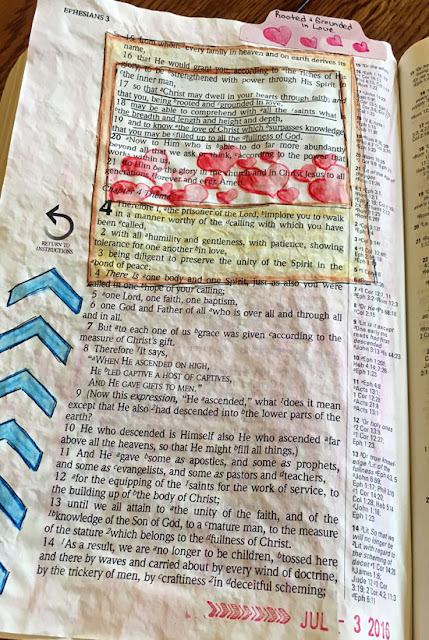 Lesson 7 focused on art journaling with Gelatos and included a tutorial for creating an art journal page based on Matthew 6 and how much God cares for us. 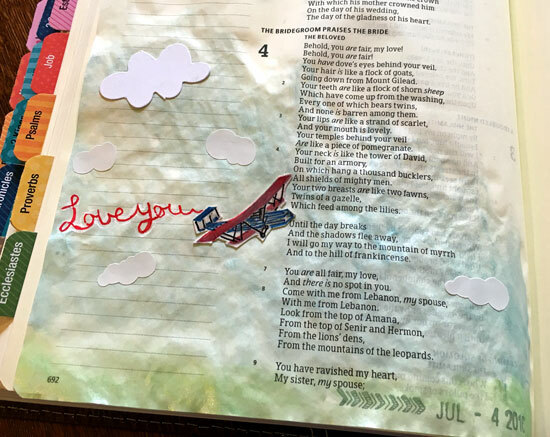 Instead of creating an art journal page, I used stamps to add my words and the image of a bird in the margins of my Bible. 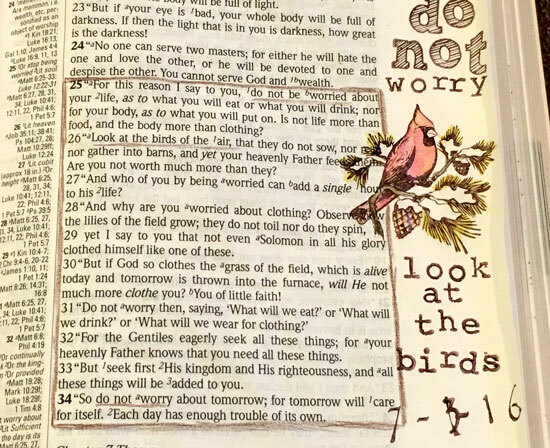 I then used a waterbrush and Gelatos to paint the image as I meditated on this reminder not to worry. Lesson 8 focused on watercoloring with distress inks, however I just used my watercolors to imitate the illustration near Solomon 4:7. I added a die cut plane and some cloud stickers to complete the scene on my page. 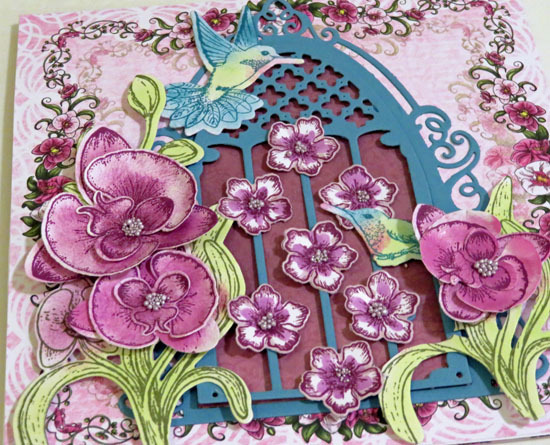 Have you checked out this class or any of the other free classes at Scrapbook.com lately? I'm processing photos today, uploading them from our cameras and cell phones to the computer, and thought I'd share five random shots from my July iPhone photos. After over nine years in our home, we finally invested in solar screens. I can now leave the blinds open even on the hottest days! Last Saturday, these ladies joined me for a FUN day of Bible Journaling at Scrappin' Goodtime. Early Sunday morning Robbie received a call that the air conditioning in the server room at his office was not cooling, so we spent several hours hanging out at the office while it was repaired. 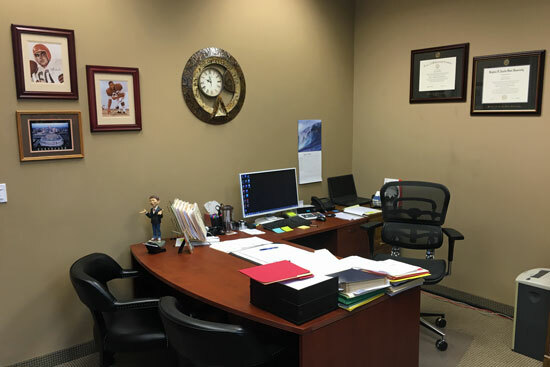 I took the opportunity to finally do some rearranging, organizing, and decorating in his new office. It's not completely done yet, but it's a huge improvement. 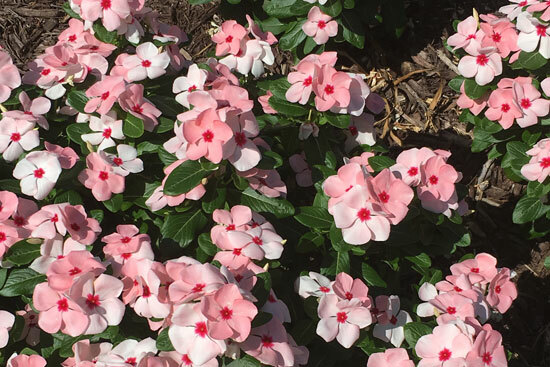 These beautiful flowers caught my attention as I was headed into the library last week. And, finally, I saved this flyer from Facebook. 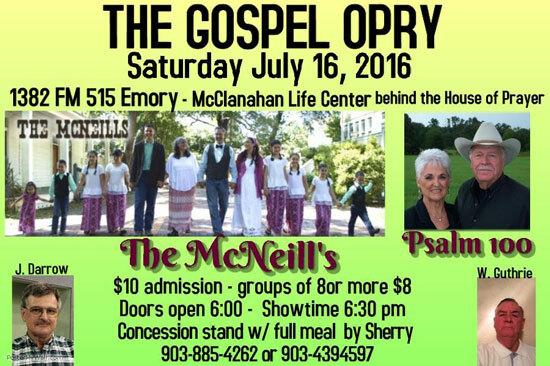 My Daddy will be singing at this event on Saturday. That terrible photo on the bottom right is him . . . obviously he hasn't quite mastered the selfie. What photos have you captured with your phone this month? I'm not really much of a news person. I don't watch lots of news programs or read tons of newspapers or scroll all the numerous news sources on the Internet. I simply read just enough to keep up with the major events and have a fairly good idea of what's going on in the world. However, the recent tragedies in our nation have been absolutely heartbreaking . . . and so close to home. When I woke up to the news Friday morning that five Dallas police officers had been shot and killed (and several more injured), I was unable to stop the tears. Later that afternoon, as I drove through Dallas on my way out of town, the traffic signs that normally tell how long it will take to get to the next major intersections all read "Downtown Area Closed Due To Police Activity" and all the flags along the highway were at half-mast. And I cried again . . . for the senseless killings, for the families whose lives are forever changed, for the unrest that is enveloping our nation, for the racism that is dividing us, for the fear and anger that is everywhere. Honestly, I don't know what to do to be of help . . . except to pray and share the love of Jesus with others. 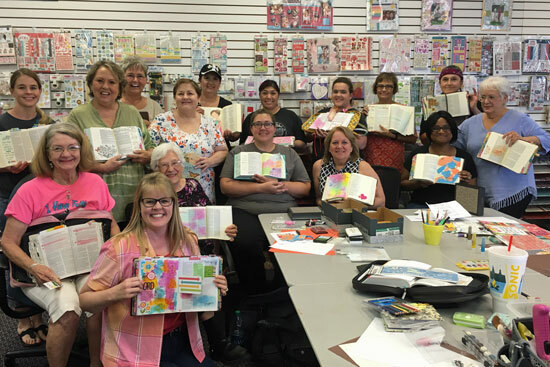 I spent all day Saturday teaching illustrated Bible journaling in Corsicana, enjoying my time with other women who love the Lord and want to draw closer to Him. That afternoon, several of the local residents left class for an hour to help line the streets of that small town (with temperatures over 90 degrees) as they brought the body of one of the fallen police officers back to his hometown. A simple way to show their support and appreciation for the men and women who serve and give their lives to protect us. I don't have any pretty pictures or crafty projects or answers here on my blog today, just sharing that my heart is broken for our nation. 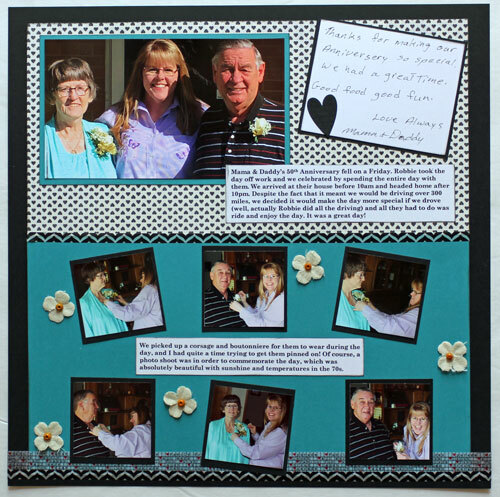 There were so many great photos from my parent's 50th anniversary that I had a hard time choosing which ones to include on my scrapbook layouts. 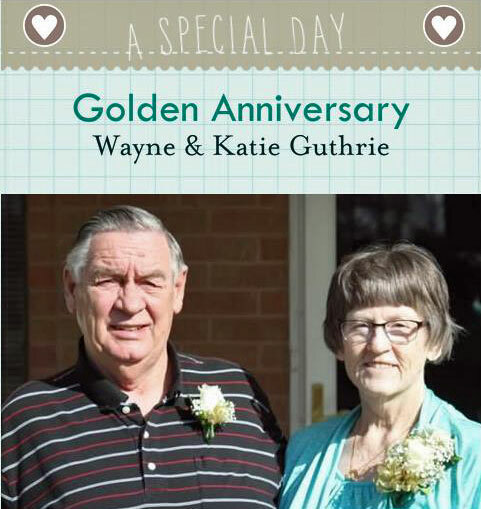 In fact, I actually created an 8x8 Shutterfly photobook for my parents so that I could include lots and lots of photos. Then I printed a variety of photos and set to work creating several pages for our 2016 chronological album. 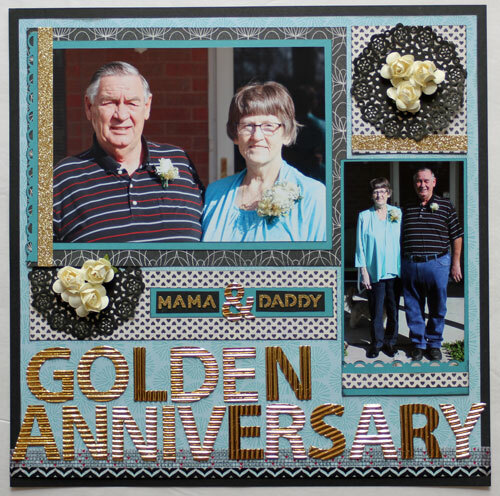 I chose black cardstock as my background, then pulled several patterned papers that coordinated with the color of Mama's top. 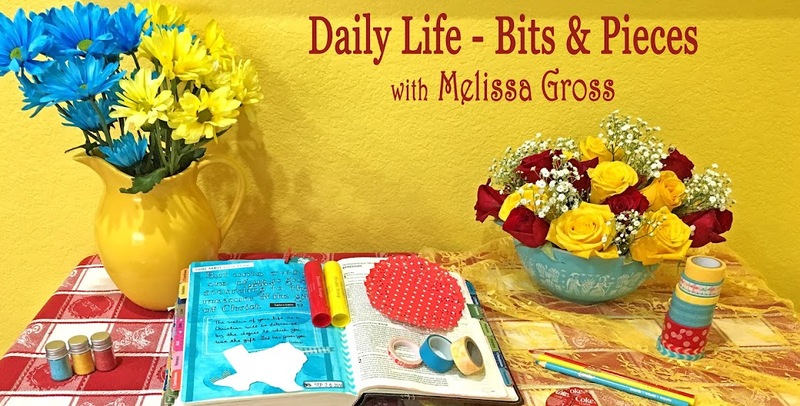 I added in a variety of embellishments and ephemera to share the story of the entire day. Since I'd already shared the story in a blog post, the journaling was practically done. I printed it out, cut it into sections, and these pages came together quite nicely. Do you use similar supplies when scrapping multiple pages about the same event? 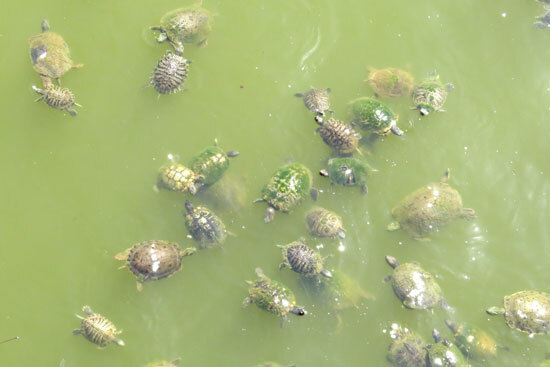 When Rinda posted this year's Summertime Photography Scavenger Hunt List on June 1, I was ready to go. With the list on my phone, I headed out for the day and captured my first six items! 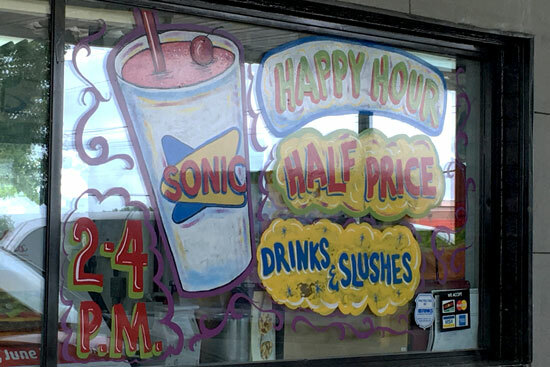 My first stop was at the Sonic, where I found a painted window. Then I headed into the library, snapping a photo of the two books I'd just completed. 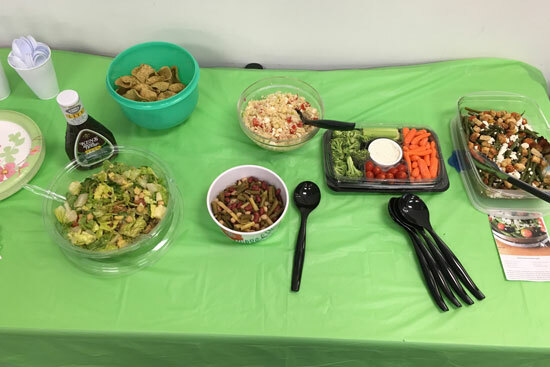 I was at the library to attend our final book club meeting for the 2015-2016 year, which always includes a potluck lunch (this year's menu was salads and desserts). 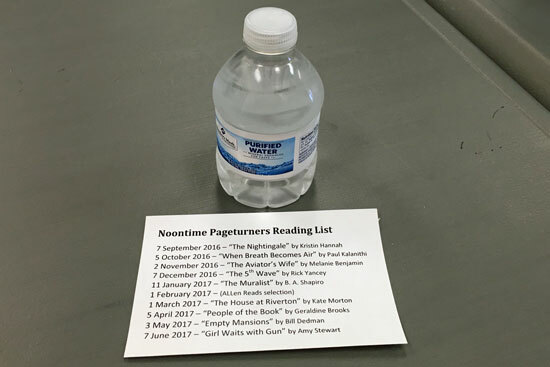 I grabbed a bottle of water, an essential summertime drink in the Texas heat, while I perused next year's book club selections. 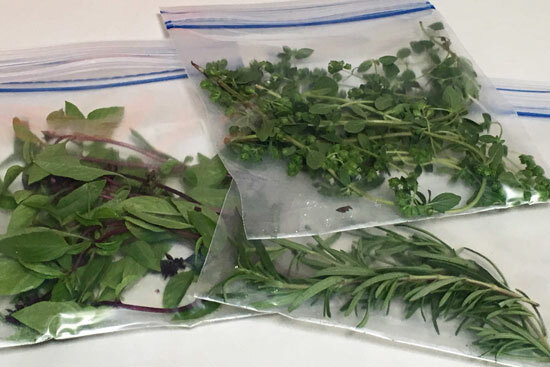 Back at home, I noticed the bags of herbs that Robbie had brought home, fresh from our friend Gary's garden. And I took time to turn the page to June on the wall calendar in my craft room. With these first six photos, I was off to a great start on the hunt! A few days later, we headed to California where I was able to capture quite a few more items. 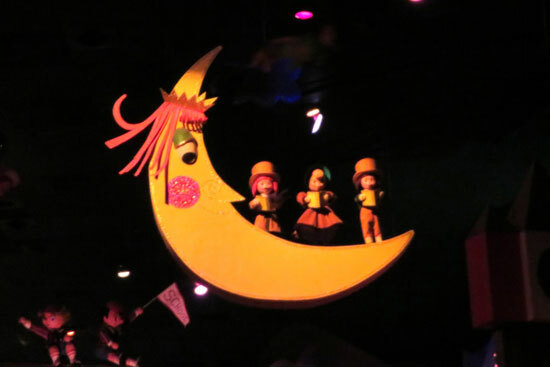 Robbie and I spent the first afternoon at Disneyland, where we enjoyed lots of rides, including It's a Small World. 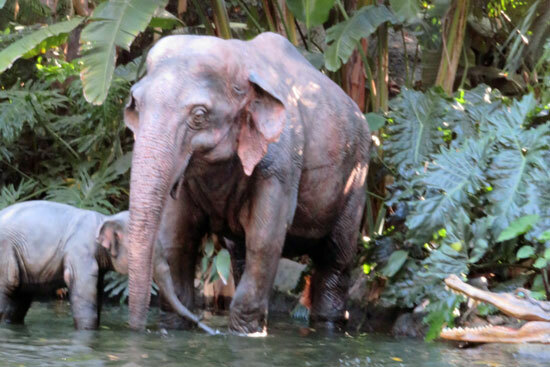 We also enjoyed the Jungle Boat ride, especially the hilarious spiel the boat captain shares throughout the tour. 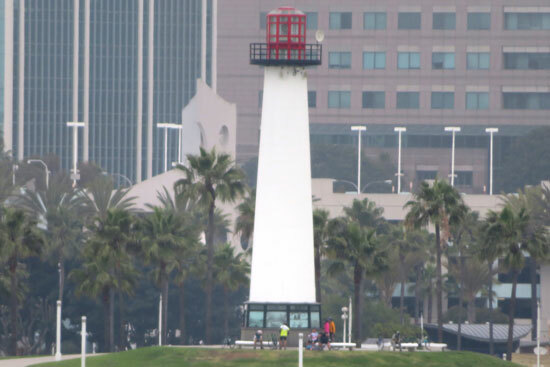 Later, on our way to the Queen Mary hotel (where we had terrible rather eventful stay), I spotted a lighthouse across the bay. The next day as we waited for Robbie's brother and his family to disembark from their three-day cruise, we found these lovely flowers. 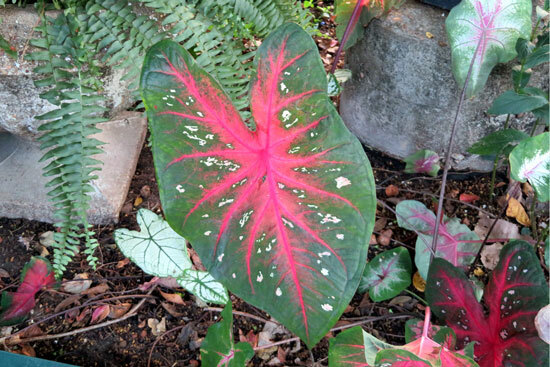 Look closely at the three on the bottom right - they do seem to form a heart, don't they? 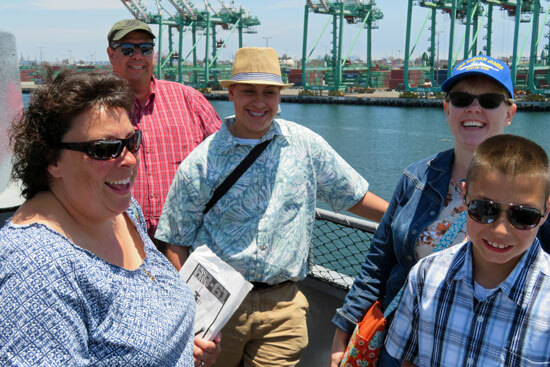 The six of us then headed out to tour the Battleship USS Iowa, and Robbie obviously said something funny before he snapped this photo. That evening we headed to the beach, where Kathy and I were determined to dip out toes in the Pacific Ocean for the first time! Since we were at Point Dume State Beach, Jacob acted like he was Charlton Heston in the final scene of the Planet of the Apes movie (which was actually filmed at this location!). 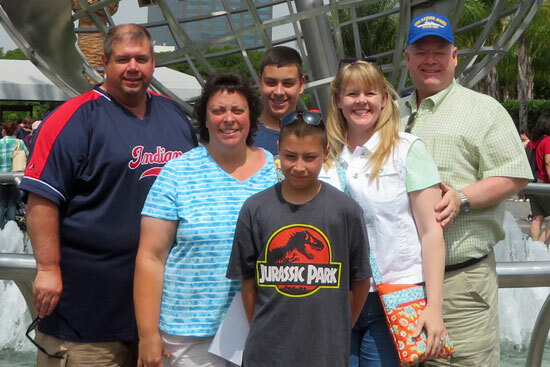 The next day we headed to Universal Studios. It was nice to find one of the theme park employees ready to snap a photo of our group before we headed through the gate. 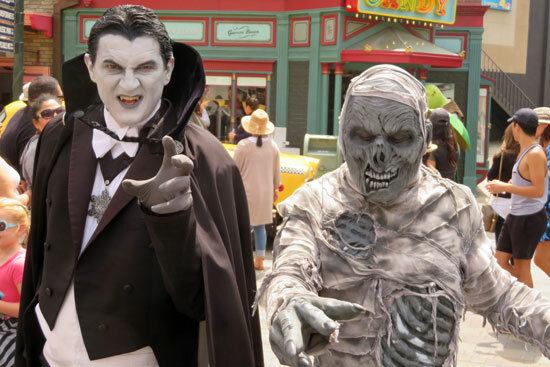 We saw lots of characters throughout the park, including Dracula and the Mummy (whose skeleton is showing in places!). The Universal Studios back lot tour was extremely interesting. 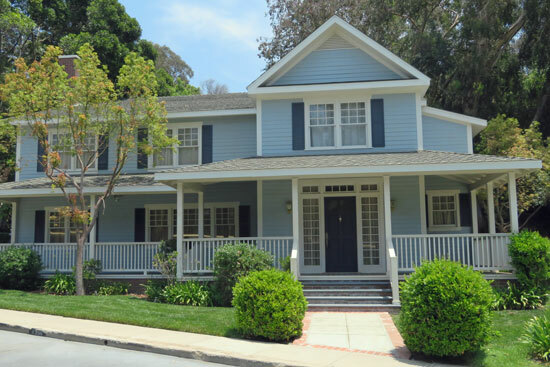 We drove down Wisteria Lane, the street featured on the Desperate Housewives TV show. 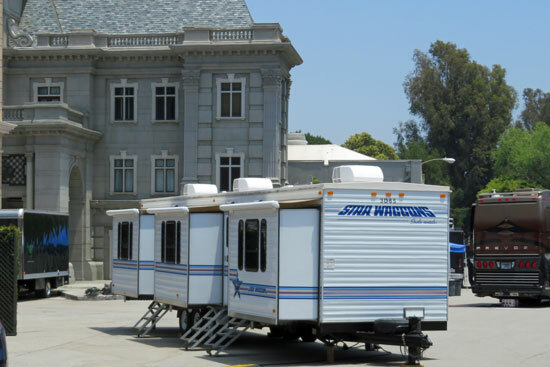 There were three separate areas where filming was going on that day, so we saw quite a few campers set up. 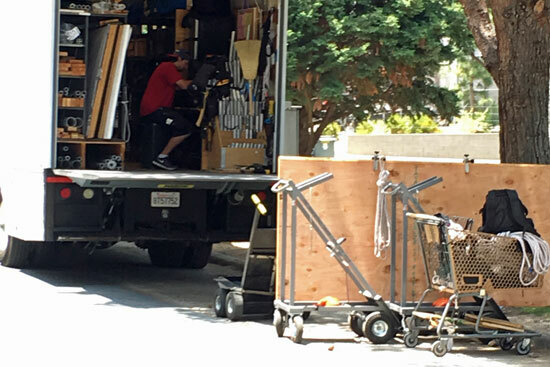 At one of those locations, we saw chairs and make-up bags under a huge tent, but obviously the scene was being shot indoors because we didn't see any actors. We did spot this truck with lots of supplies, including a full shopping card (although it wasn't loaded with groceries). We also spotted a bicycle as we drove through the section that is often used for filming areas hit by natural disasters. One day of our trip, we went on a whale-watching tour. I shared photos of the fin back whale and sea lions we saw in a previous post. 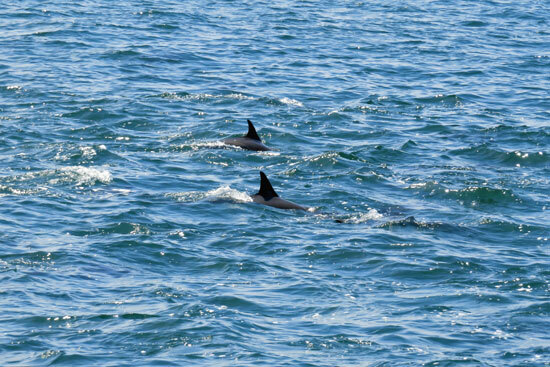 We also encountered a huge pod of dolphins. Our nephews were both showing their Ohio pride the day we visited the Ronald Reagan Presidential Library & Museum. Thomas is sporting his Cleveland Cavaliers T-shirt, while Jacob wears the Browns colors. The final two photos I'm sharing today were actually taken during July, however they both represent something from June. 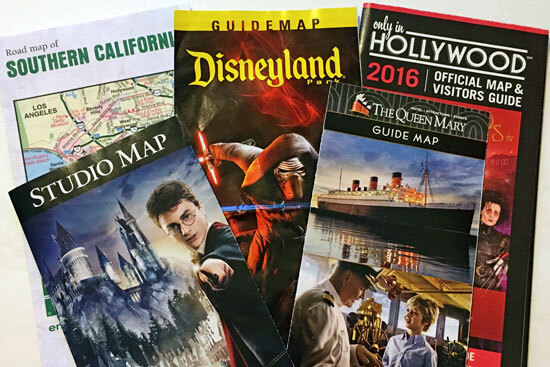 First, a look at some of the ephemera I brought home from the California trip. And, second, a beautiful layered flower I made at one of the Make-N-Take tables at the Great American Scrapbook Convention in Arlington last month. If you've been keeping count, you may have noticed that I found all 21 items, plus the two alternates on this year's list!! Are you participating in this year's hunt? How many items have you captured? P.S. 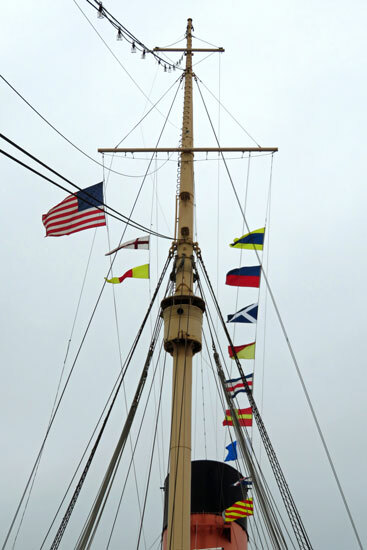 Who remembers last year's hunt and that oh-so-difficult-to-find item - a flag pole with at least three flags on it? Look what I found on the USS Iowa!